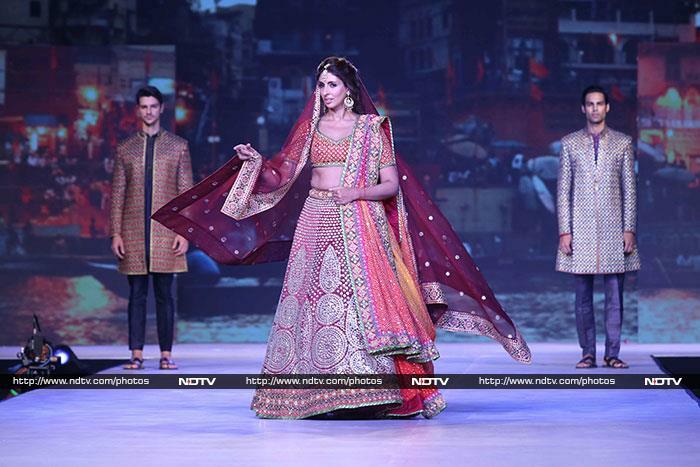 Shweta Bachchan Nanda was one of the showstoppers for designer duo Abu Jani and Sandeep Khosla's show on Sunday. Shweta's first look for the night was in an orange lehenga. 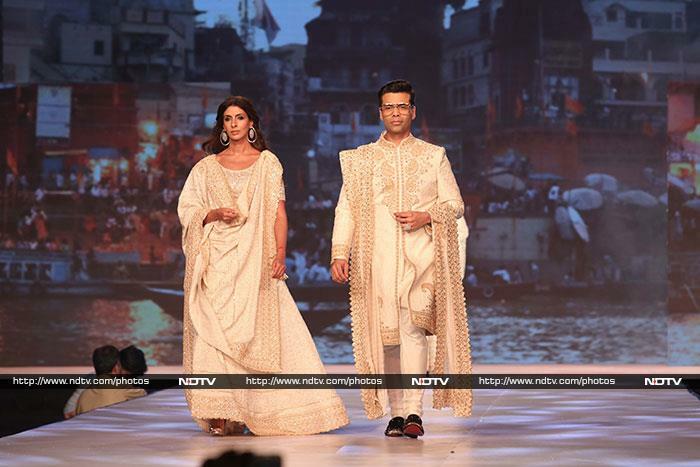 For her final look, Shweta was joined by Karan Johar on the ramp. She was pristine in white while KJo also sported a signature Abu Jani-Sandeep Khosla kurta. Shweta twirled and twirled on the runway! Shweta's biggest cheerleaders were her parents - Amitabh Bachchan and Jaya Bachchan - who were spotted in the front row. Sonam Kapoor also looked resplendent in an off-white ensemble with her sindoor adding just a touch of colour. Sonam twirled her way to our hearts. The show wrapped with Karan Johar, Sonam Kapoor and Shweta Bachchan Nanda cheering for the designer duo. Meanwhile, Preity Zinta walked the ramp for Shaina NC's collection. Amrita Rao was also spotted turning heads at the show. Farhan also joined Shaina NC to represent her new collection on the ramp. Actor comedian Sunil Grover made a hilarious appearance on the ramp for Shaina NC's show and left everyone in splits. Maheep Kapoor and her daughter Shanaya Kapoor was also spotted in the audience. Sussanne Khan was also there to enjoy the show.